Pick-for-Me Book Club: sign-ups (January). - And the plot thickens. Pick-for-Me Book Club: sign-ups (January). It is likely I will die next to a pile of things I was meaning to read. 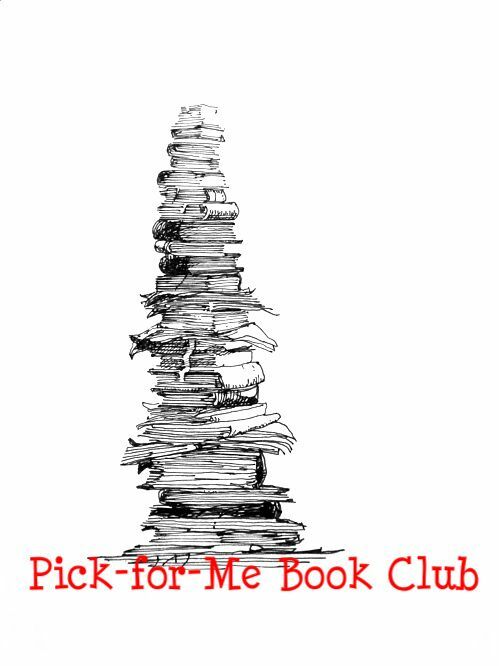 Join the “Pick For Me Book Club”! At the beginning of the month, everyone who wants to participate posts a link to their to-be-read” list (it can be on Goodreads, an post on your LJ, a google document…whatever you prefer, just so it’s publicly available). After all interested parties sign up, I will assign everyone a ‘buddy’. Then each person goes to their buddy’s to-be-read list and picks 2 books (a main choice and a back-up) that they want them to read during that month. (You can choose to read just one of the books picked for you or both of them if you choose.) Then at the end of the month, we have a post where everyone talks about the books they read. This is the ‘perfect’ book club for anyone who has books that have been on your to-be-read list forever & you just keep putting them off. Maybe someone will pick a book to get you out of a ‘reading rut’. Maybe you’ll find a new favorite book or author. Sign-ups will be open thru Saturday January 4. Buddy Assignments will be posted January 5. Check your buddy’s to-be-read list & select a 1st choice and a 2nd choice. Comment with your choices to the Buddy Assignments post. Be sure to check the comments to see what your buddy chooses for you! IF YOU DO NOT RECEIVE A PICK FROM YOUR BUDDY BY JANUARY 10, PLEASE LET ME KNOW & I WILL PICK BOOKS FOR YOU. I will open a ‘sharing’ post on January 27 (which will remain open thru February 1) where you can talk about the book that was selected for you. Give a short summary, tell us whether or not you’d recommend it, give it a letter grade, rant, rave, write a book report that’s a throwback to the 3rd grade, WHATEVER. If you don’t finish the book, comment to the ‘sharing’ post anyway: if you didn’t finish because you didn’t have the time, let us know what you thought of the part you did read…and if you hated it and gave up, we want to know the reasons why. Sign-ups for Round 2 will run concurrently with the ‘sharing’ post (if there is enough interest, that is). I anticipate snags the first month, hopefully I can figure out how to fix them so things go more smoothly in the future. Other random notes: if there are books on your to-be-read list that you don’t have access to at this time, please be sure to let your buddy know….audio books & graphic novels count…if you have questions/comments/concerns/suggestions during the month, feel free to send me a PM anytime. All posts pertaining to the book club will be made public so ANYONE can participate, whether they’re on my flist or not. Pimp it out on your journal & get your friends to join. The more the merrier! Questions? Just drop me a message! Anything else you think we should know? I re-did my list, just know that some are series, so if you pick a book out of the series, it should probably be #1, haha (except for A Song of Fire and Ice because those are just brilliant).